I’ve got a confession to make. I baked this on Friday, shot the photos on Saturday, and I have literally eaten one whole loaf to myself since then. I think I woke up in the middle of the night mumbling “i’ve eaten too much lemon cake”. It’s really bad. 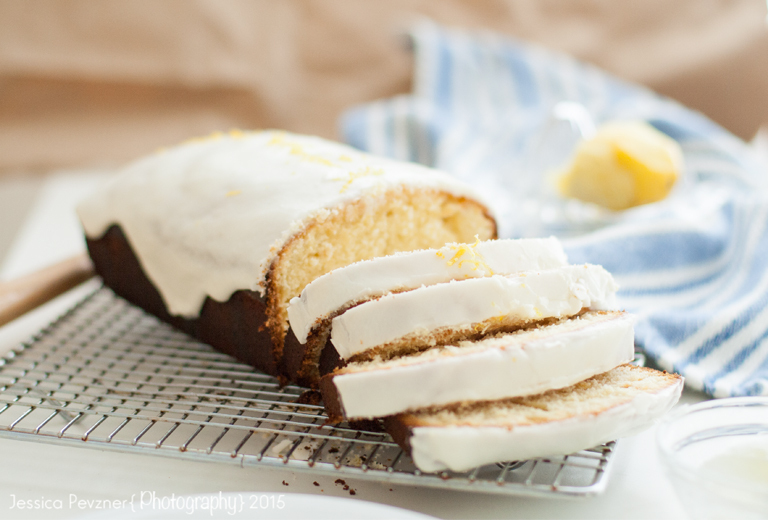 This recipe is highly addictive so I am warning you well in advance, do not bake it unless you have amazing self restraint because it’s not exactly healthy… it’s cake people, don’t let the lemons and grapefruits fool you! If you are looking for a light dessert then this is it. It’s delicious along side a cup of tea, or on it’s own and it has the right amount of sweetness to it with bright citrus flavour that takes over and makes your tastebuds dance. The icing is the perfect balance of sweet and tart, I could eat it by the spoonful. I’m telling you, this cake is a drug and writing this is making me want another slice. It’s been so cold lately, and the sun is often hidden behind grey clouds, so baking with bright citrus fruits exploding with flavour was the perfect pick me up this weekend. I think it may have had an effect on the weather because yesterday felt like spring! We were finally able to bring Winslow to the dog park, something we haven’t been able to do in over two weeks. He got soaked head to toe, covered in slush, and we had to throw him in the bath when we got home, but he had a big dog grin on his face which made it all worth it. It was such a great feeling to be able to stand outside and feel the sun beating down on us like a warm hug. Anne Bradstreet said it well – “If we had no winter the spring would not be so pleasant.” I’m definitely beyond excited for spring! 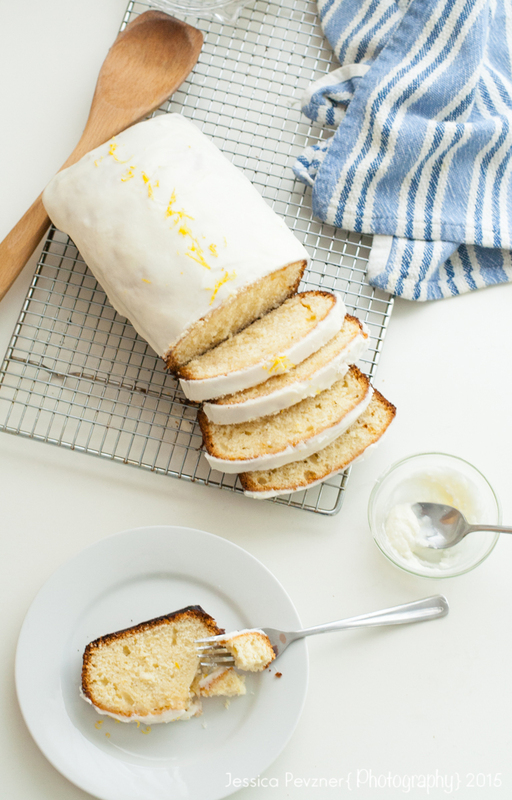 In the meantime, go bake this citrus cake to bring some instant sunshine into your life! 1. Heat oven to 350 degrees F (175 degrees C). Grease and flour two 8 1/2-by-4 1/4-by-2 1/2-inch loaf pans, and line the bottoms with parchment paper (optional). 2. Cream butter and 2 cups sugar in the bowl of an electric mixer fitted with a paddle attachment for about 5 minutes, or until light and fluffy. Mixing at medium speed, add eggs, one at a time, then add lemon zest. 3. Sift together flour, baking powder, baking soda and salt in a bowl. 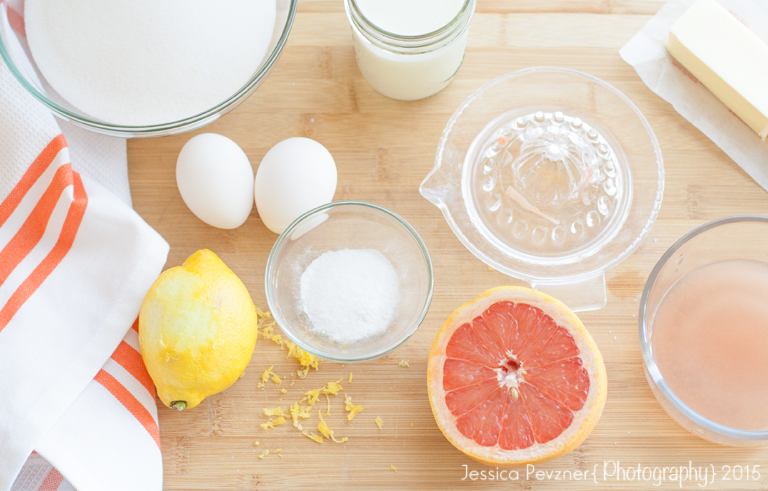 In another bowl, combine 1/4 cup citrus juice, buttermilk and vanilla. Add flour and buttermilk mixtures alternately to butter and sugar mixture, beginning and ending with flour. Divide batter evenly between pans, smooth tops, and bake for 45 minutes to 1 hour, until a cake tester comes out clean. 4. Combine 1/2 cup sugar with 1/2 cup citrus juice in a small saucepan, and cook over low heat until sugar dissolves. 6. 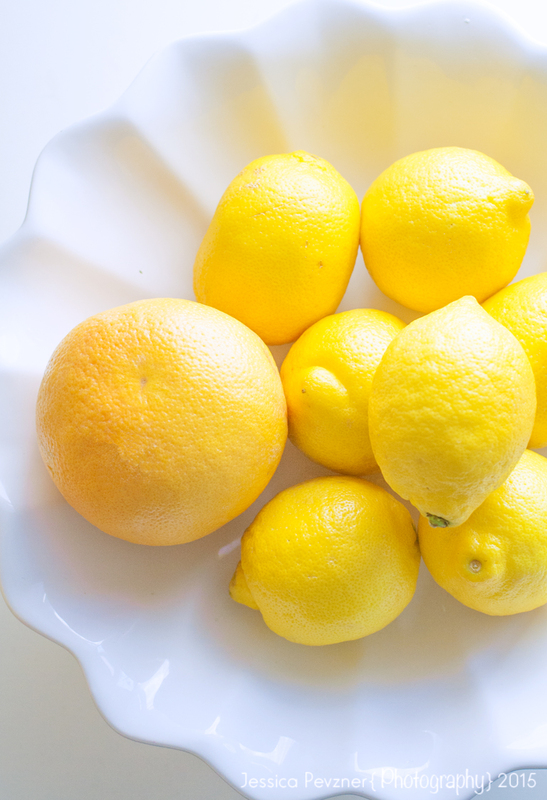 For icing, combine in small batches confectioners’ sugar, 4 tablespoons of freshly squeezed lemon juice and lemon zest in the bowl of an electric stand mixer fitted with a paddle attachment until smooth. (I say small batches because powdered sugar will get everywhere). Evenly spread over cakes and allow some of the icing to drizzle down the sides. Let the icing harden before slicing. Winter can be so long! So, in order to get through it every year I try to remind myself what I love about it. It really is a beautiful time of year and I love how everyone wants to be cozy and warm, making everything feel more intimate. I also like being able to layer and wear all my scarves. But in all honesty, I’m really bad with the cold weather and always have been, despite being a Canadian girl. When the snow covers the ground and the air is so cold it hurts, I tend to hibernate. There is something satisfying about that, since it is a time for renewal and an opportunity to slow down and take good care of ourselves, but after a while, I start to long for the freedom that summer offers, the brightness and the warmth. I know it’s only February and we have a little ways to go, but walking through the market yesterday I saw tulips and potted plants everywhere and for a second I remembered what it felt like to be surrounded by colour and life! It inspired me to want to brighten up the world around me while I patiently wait for sun to come out and melt the snow! What are some of the things you love about winter and some ways you get through the long cold months?